Chesterfield Sofas and More: Live a Luxurious Life! Among the many different styles of sofa past and present, the chesterfield is perhaps the best-known and is certainly one of the most elegant. With a centuries-old history, the chesterfield sofa is as popular today as it was when it was first created in the early 18th century. The first chesterfield was created by a skilled craftsman, who was commissioned by Lord Phillip Stanhope, the fourth Earl of Chesterfield. Stanhope was well-known for his fashionable tastes in clothing; he asked the craftsman to create "a piece of furniture that would allow a gentleman to sit upright in the utmost of comfort allowing sitting without wrinkling garments". 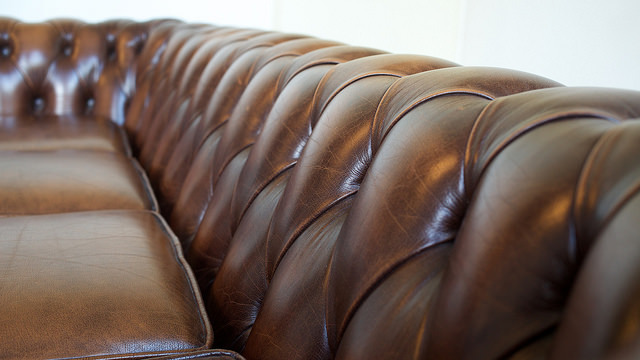 The ingenious craftsman created the chesterfield almost exactly as we see it today. The distinctive style features quilted upholstery held in place with deeply-placed buttons, rolled arms, equal arm/back height and a low seat base. If you are inspired by this timeless style then read on; we have got some exciting news for you...! For a limited time, you can save a massive 50% across the DS4U range of chesterfield furniture, including chairs and stools as well as the timeless sofa. Whether you prefer a truly classic red leather or would rather go for something a little more contemporary, you're bound to find your ideal furniture on our website. Don't forget that we can offer finance plans subject to status! Enjoy browsing our exciting range of chesterfield furniture and get in touch with our skilled technical team if you have any questions!